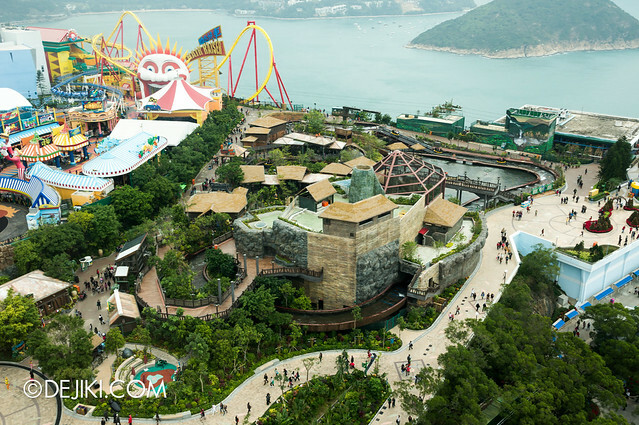 The Ocean Park Tower is a rotating observation deck attraction at Ocean Park Hong Kong. 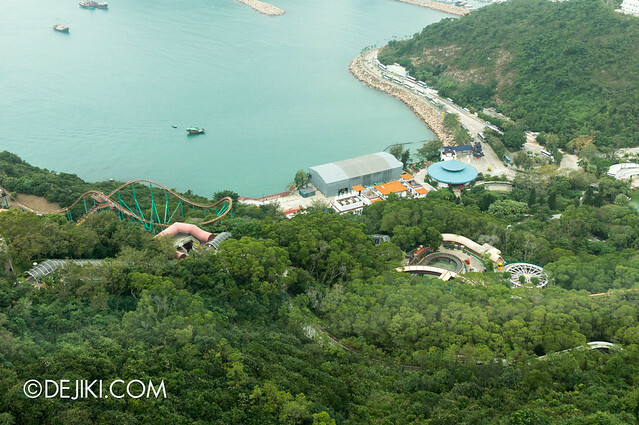 This slow and gentle ride brings guests up into the air – 200 metres above sea level, providing amazing views of The Summit area of the park, as well as the sea. My classes have started at NUS and that means I have less time for all “non-academic activities”. 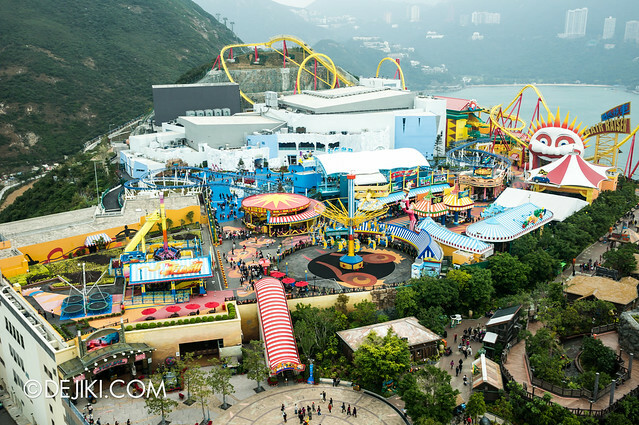 These Ocean Park entries are way overdue – I just didn’t expect the Hong Kong Disneyland series to take up so many entries (and the immense editing work that went along with it!) Nonetheless, I will get the entries out by end February (I hope) and these photos will be a teaser of many exciting photo tour entries that will be published soon. 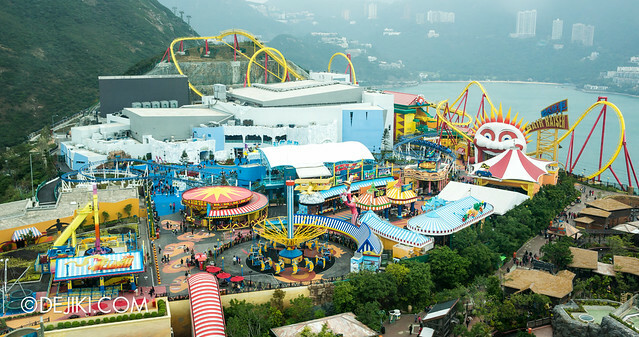 Thrill Mountain and Polar Adventure (white/blue buildings further back) in this shot. 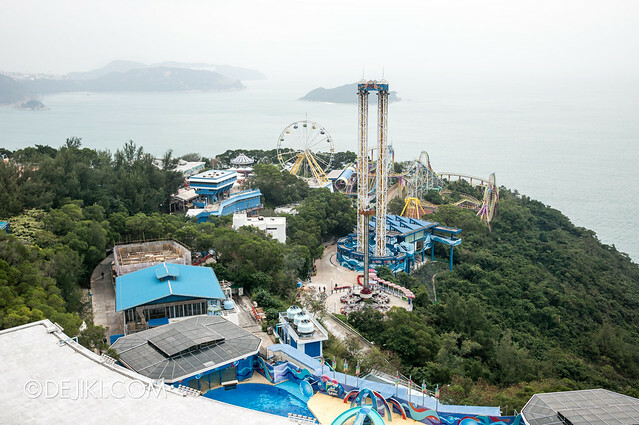 The main reason I returned to Ocean Park again is because of the Hair Raiser roller-coaster (see the crazy giant clown’s face on the right?) and the newly opened Polar Adventure zone. 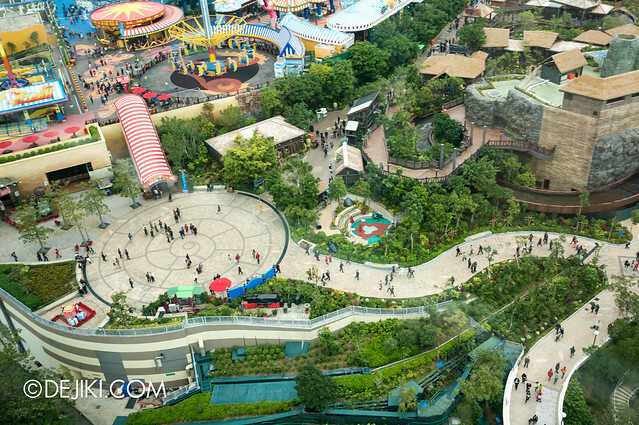 Right next to Thrill Mountain is the Rainforest, which is really strangely built and doesn’t even feel anything close to a forest or jungle. Marine World has been covered in the last update, but there will be a entry about another attraction in this zone called Sea Dreams. The Sea Dreams marine animal show is performed here, at the Ocean Theatre. 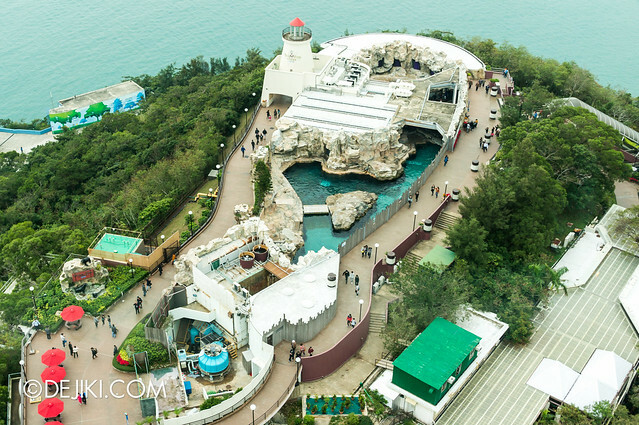 Further on: the Pacific Pier zone which is home to seals and sea lions. I went all the way down to Adventure Land again, but this time I walked around the entire area and discovered some other rides in this seemingly abandoned area in the park. And after one full rotation, we’re back to looking at Thrill Mountain. So that’s about it for this quick update. 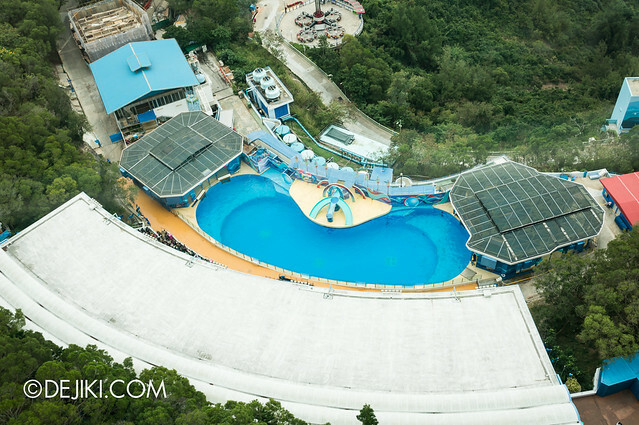 Be sure to check out the other entries on Ocean Park! Nice photos, Dejiki. You are from NUS? I’m from NUS High. Anyway has there been any update on USS yet? Seems like Sesame Street spaghetti space chase will be delayed for a while. Yep I’m an undergraduate at NUS. Sesame Street Spaghetti Space Chase is expected to open in just a few weeks. I’ll be posting an update on USS within the next two days. Stay tuned!